Do you needle felt, knit or crochet and need some swanky little labels for your handmade arts and crafts? Try these adorable 2-1/2 x 1 inch rectangle tags for your handmade needle felted crafts, knitted items, crocheted stuff or whatever you make to sell or give as gifts. Download the free PDF to print from your home printer on white or colored card stock or brown Kraft paper. You can even customize and spruce them up with some hand coloring of your own. Put your price and company info on the back and punch a hole for a string to hang as tags. Or, turn them into sticker labels by running them through a sticker machine or printing on sticky-back paper. 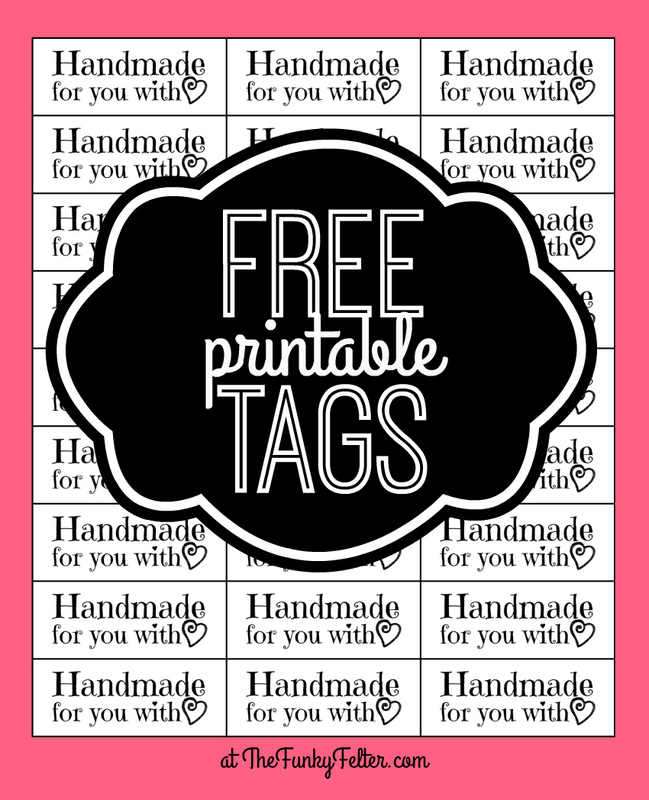 There are many product labeling uses for these free craft tags - whatever you can think up! 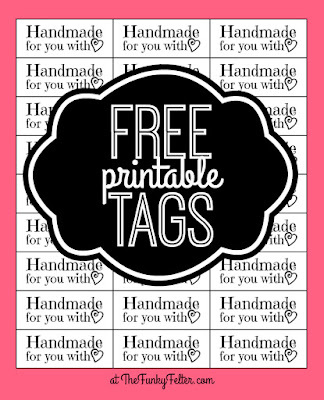 CLICK HERE for my FREE "Handmade for You with Love" tags. Psssst...if you like these tags, I have more free handmade tag designs coming up future posts - crochet, knit and needle felt specific labels! Don't miss out on all the great freebies for crafters! CLICK HERE to subscribe to my weekly email updates. And, please share this freebie with your handmade craft & fiber lovin' friends! Copyright 2016 Shalana Frisby. All rights reserved. For personal use only.